Jason Kravitz (Brussels, Belgium) on 29 April 2006 in Food & Cuisine. Oh yeah! Its looks very very yummy! Looks way to healthy for me. OH boy! 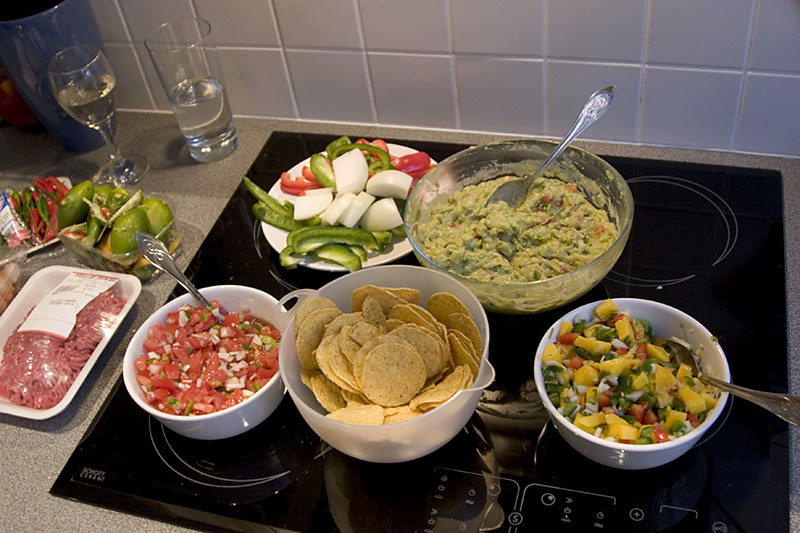 Leslie can put out a great Mexican spread! I can almost taste it!